Spring is here and that means festival season is upon us, also meaning bikini season is just around the corner! It’s time to buff off that	dull winter skin, get it toned, and get it glowing. With these summer skin prep tips you will be ready to glow in no time. How: Because dry exfoliating is stimulating and energizing, we recommend you do it in the morning, of course before night out. Before showering you can stand in your tub and using soft, upward, long strokes start at your feet and work your way up to your midsection, then your chest and finish at your arms. 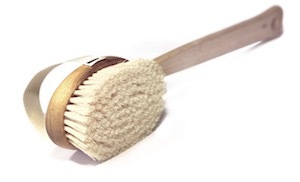 Why: Dry exfoliating is not just for eliminating dead skin cells, it has many other great benefits. It’s also great for combating cellulite because the stimulation can help eliminate toxins that break down connective tissues that leads to cellulite. Because this process also helps open your pores, any other treatments you follow with will be more effective, including hydrating. The health benefits are pretty awesome as well. Make this a part of your weekly routine and you may notice that due to the circulation boost it gives to your lymphatic system, some digestive and acne issues can improve. If you want to get to those hard to reach places then I recommend using a brush with a handle. Otherwise this hand held one from Sephora is a great choice. 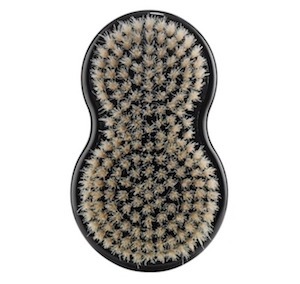 Get This Brush For $15.00 Here. Get This Brush For $14.00 Here.